While buying a new home, a sample flat may look glamorous but it comes with a few sets of issues. Vastu Certified Properties make your home appealing and inviting. Remember that vastu alone will not help you to buy or sell your property. You need to have the right location, right quotation, and right estate broker. It is very critical to have the main door according to vastu as this is where both good and back luck enters and flows. One major principle of vastu is that each premises has auspicious and inauspicious directions for locating the main door. A strong front entrance is important to attract positive energy into your home. The main entrance door is the transition area between your private life and outer environment. Entrance towards the positive directions is sold faster and quickly booked by the investors during the launching stage of the project itself. A good vastu location ensures a good flow of air and energy throughout the house and surrounding. Vastu certified properties have no negative location. Whether or not you believe in it, the principles of Vastu shastra are good to consider for every location. Everyone strives for a bit more balance and harmony in personal lives, so give some consideration to the surrounding location. Location with more open space towards the north & east is most auspicious according to the vastu. A slope towards the north or east is a great location as per vastu. A tall building or mountain towards the south-west adds the vastu strength of the premises. People become more successful & enjoy a higher reputation. Vastu defects are like illness in the body. No one wants to buy a sick property. 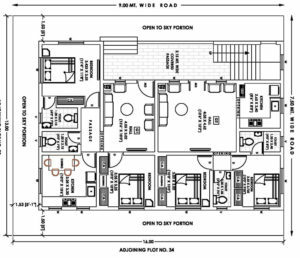 Vastu defects like toilet or kitchen in the north-east, south-west or center, Missing north east or south west corner, Extended north-west, south-west or south-east corner, Pillar in the center, staircase in the center or northeast direction are serious vastu defects. Vastu certified properties have very few or no defects. Some vastu certified properties come with the hidden corrections. Any problem has more than one solution. 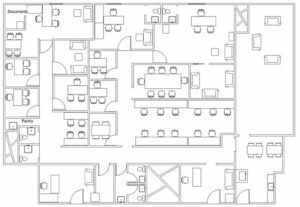 There are very limited possibilities of corrections in an apartment or flat layout. Apply hidden corrections by using various vastu remedies concealed in the wall, floor or furniture. At vastuconsultant.com, we use earth crystals, brass, Zinc, Lead & copper metals, wooden pyramids etc. for hidden corrections during the stage of the construction or renovation. Visible corrections are informed of using paintings, artwork, stones as well as plants to improve and make property vastu friendly. Vastu recommended plants improves indoor and outdoor air quality which creates a comfortable atmosphere in any space. There are many tree & plants which are auspicious in certain directions which are helpful in correcting vastu defects & also in improving the positive flow of energy around the location. Vastu certified homes are more valued and appreciated by all who visit such premises. We have found significant improvement in the life of people who have settled in vastu certified homes. Relationship flourishes in such homes. It should be noted that all properties cannot be certified but can be put under grading system A+. A. B+, B, C+ & C based on its layout.